Continuing on from yesterday where we covered Ipconfig, PING and Tracert, we continue our overview of home network troubleshooting tools. Today we’re going to look at Nslookup and Netstat. 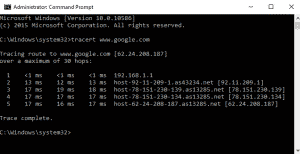 Nslookup is an excellent tool for troubleshooting DNS (Domain Name System) issues. If you’re having trouble connecting to other computers or websites using their URL but can connect using an IP address, it can often be DNS that is causing the issue. Nslookup can help. Nslookup finds the IP address linked to a domain name. If Nslookup works, DNS is working fine. If it doesn’t, your issue could be DNS related. Type ‘nslookup and the domain name’. For example, you could type ‘nslookup www.google.com’ to find out the IP address of the server. Commercial entities will often have multiple servers, so the IP address may change. If you see IP addresses, DNS is working. If you don’t, DNS may not be working and your investigations should go in that direction. The Netstat is our final network troubleshooting tool. 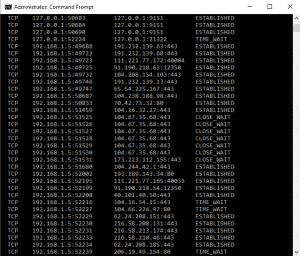 Netstat allows you to display all of the active network ports on a PC. Ports are used to send or listen on a network and each program will have one or many port allocations assigned to it. Knowing what ports are assigned can help troubleshooting a local network issue or follow up on a security alert. Type ‘Netstat -an’. This command will show you all the connections and ports. From here you can see which ports are open, listening or closed. 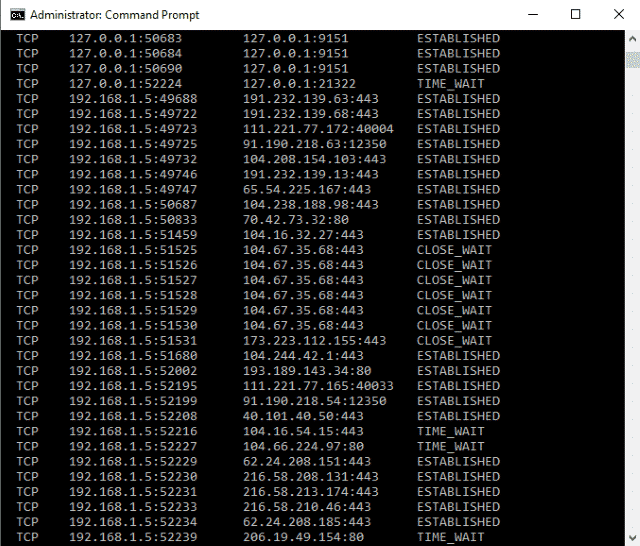 You can also see the protocol each port is using and the destination address. From here you can check destination addresses for ones that shouldn’t be there. It is time consuming but nobody said network troubleshooting was easy! If you have any problems using these tools or anything useful to add, leave a comment below!